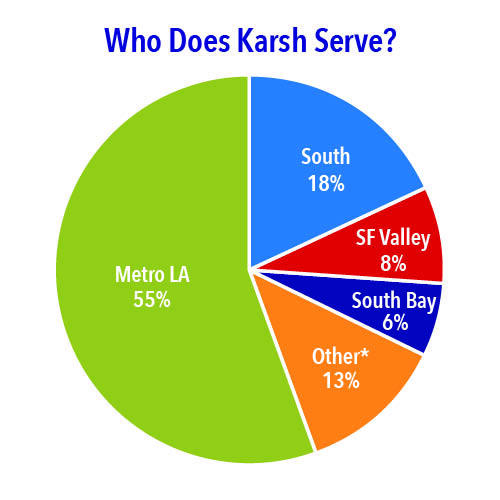 The Karsh Center is located in the midst of the densest community in the city—42,611 people per square mile—according to the “Mapping L.A.” project of the Los Angeles Times. The population of “Koreatown” in the Wilshire Center district is incredibly diverse: 53.5% Hispanic, 32.2% Asian, 7.4% White, and 4.8% African-American. There is also great need in the neighborhood; the household incomes in Koreatown rank 251st out of 265 L.A. neighborhoods. We serve anyone in need for free or at very low cost. We provide an integrated model of care and reliable, talented, trained volunteers who want to help. Our clients come from the diverse Koreatown community and range from children to young adults to seniors. According to the Los Angeles County Department of Public Health, in Koreatown, the Karsh Center’s home, an estimated 25 percent of families live below the federal poverty line. 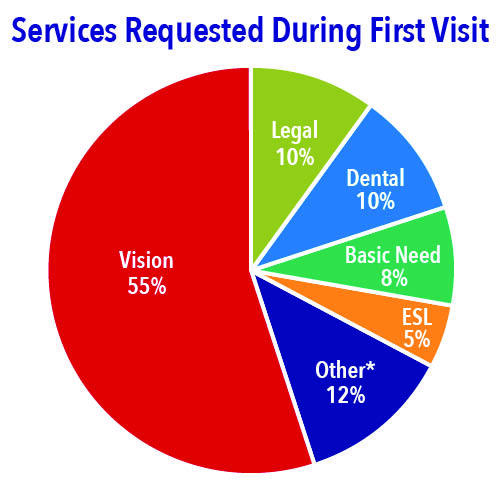 The county estimates that one in three adults in Koreatown goes hungry some of the time, and 38 percent are unable to afford dental care. An estimated 27 percent of children and 20 percent of adults are obese and suffer from diabetes or related health problems. Since opening (November 2016), we’ve served more than 4,216 clients with more than 10,000 visits.